We know, we know, there are so many different kinds of seasonal Winter ales to try this 2017 season! So many amazing choices can seem a little overwhelming when you’re standing in the freezing cold beer aisle at the store, pondering which beer you’re going to enjoy that week. Even with so many choices in front of you, there’s no need to fret because we’re here to help! We have created a calendar just for you to taste your way through Winter! We’ll give you one new beer a week to try so you can get the full taste experience this season. We will take you from the week of November 12th through the very last day of 2017 with enough beer and variety to keep you satisfied! The list includes a variety of classic Anheuser-Busch products, some AB-owned microbrewery products, and some independent craft beers. Starting on November 13, we will share with you every Monday the Seasonal Beer Of The Week along with an explanation of why we think that beer is perfect for the week ahead. All you have to do is head out to your local retailer and enjoy! 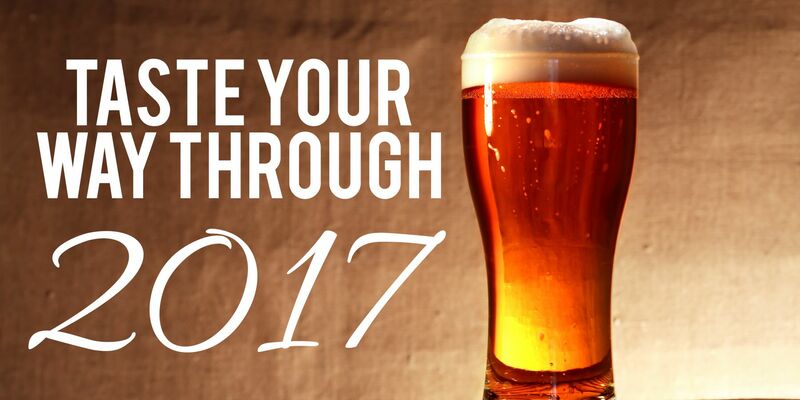 We can’t wait to drink our way through the end of 2017 with you!